In the mid 1800's, the Scotch Marine boiler design was introduced to the American shipping and railroad industries. This horizontal tube, three pass, belly flue design boiler quickly proved to be a high efficiency, low maintenance work horse. Within a few years this boiler design gained a very favorable track record and was adapted for use in the American manufacturing industry. In 1937 the Bethlehem Dynatherm Crusade-a-Therm boiler was introduced for residential use. This Scotch Marine design boiler was pioneered by Lehigh University in conjunction with Bethlehem Foundry and Machine Corp., Bethlehem, PA. The Bethlehem Dynatherm boiler, since its introduction, has given homeowners what the industry has known for decades: high efficiency, simplicity of maintenance and longevity of service. Engineered to use every drop of your valuable heating fuel (oil, natural gas, or propane), the Bethlehem Dynatherm Boiler has been the leader in efficiency and longevity. This long lasting high efficiency boiler was lost due to tough economic times. 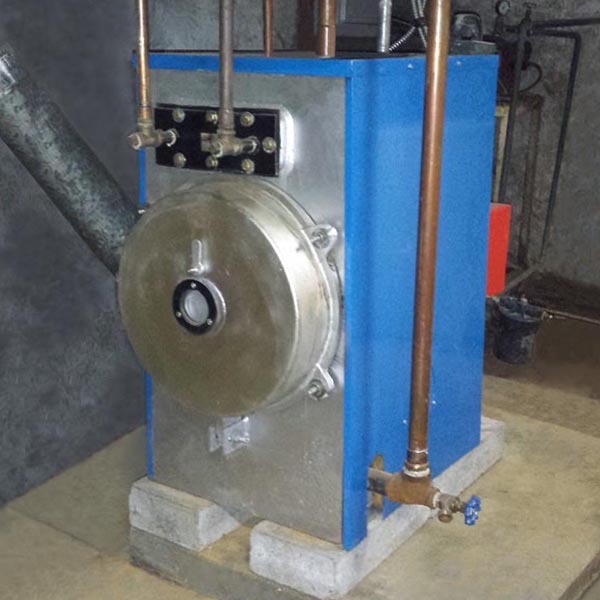 However, Dynatherm™ Boiler Manufacturing recognized the continued need for a high efficiency boiler and related replacement parts, and acquired the design rights. From there, Dynatherm™ Boiler Manufacturing was born. Since then, we've made the commitment to provide dealers and homeowners with new Dynatherm™ boilers, replacement parts, and technical assistance for all Dynatherm™ boilers (including the Bethlehem Dynatherm). We are manufacturers only and we do not install any products. Installed inside a residence in Quakertown, PA.